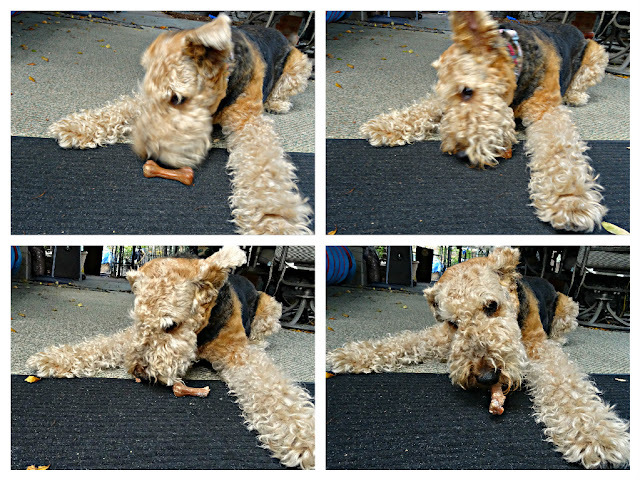 Ruby the Airedale: Zuke's Z-Bones Dental Chews! What up puppers, kittehs, and Burdies???!! I gots to pick out some Dental Chews! It's Zuke's Z-Bones Clean Berry Crisp!! Don't gets any ideas tree rat! That's right....puts it right in the AireMouth! Here's a tip for the youngin's.....make sure you gets EVERY crumb!! Zuke's Z-Bones gets the Ruby Drool of Approval!! These are a good size, and Ruby didn't woof them down too fast to be worried. Who cares! I just loved them! YUMMY!! BabyBelle would love them! The drool of approval, we know they're good. Me and momma has been askin for a Mustang for months wif no success. So I doubt da Corvette are gonna happen, unless Chewy's got some kinda deal with Chevy. Which dey might since dey is almost spelled da same. These are going at the top of our list next time mom places an order with Chewy! Great review, Ruby! Thank for a review as it seems they're great! I'll ask for essay writing service online help to do my written stuff, so I could go and buy these delicious for my dog. They look totally delish, Ruby!!! BOL I agree with you all that matters is if I like them not if they're good for you. Peeps and they're healthiness. Now, go get that squirrel and teach him a lesson. We got those for this month's review too. We loved them. Mom got us the bigger ones and says she thinks we would be just well with the regular size. Glad you liked them too, Ruby. We don't know why the Moms are so stingy with doling out the goodies. 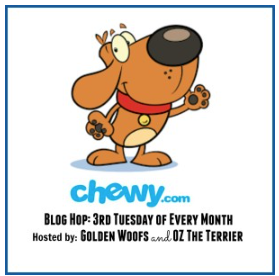 Thanks for the review, we are always looking for dental chews! ooh, zuke's makes lots of yummies! i can only handle their mini treats but aoife loves those z-bones. she chomps through them like a maniac! Those look great! We have never been disappointed by anything from Zukes. We love yummy dental chews! Happy National Margarita Day!!!!! !